Calculating and monitoring breeder mortality rates is essential for maintaining the health of your herd and your business. Breeder mortality is accepted by industry as one of the greatest challenges to individual property profitability and how the wider community perceives the industry’s ability to maintain high animal welfare standards. A number of factors can lead to breeders dying in the paddock, or being in poor condition and requiring euthanasia. With forward planning and good management, breeder cattle should exit the herd as strong and healthy cull cows – converting an opportunity cost into an animal welfare and financial gain. In this article, we explore the effect of breeder mortality on productivity, calculating mortality and strategies to reduce breeder mortality. Breeder mortality in extensive production systems is often caused by out-of-season calving and the consequential nutritional demand placed on the breeder to raise a calf to weaning at a time when feed quality is lowest. Producers identify a range of difficulties with achieving calving at an ideal time nutritionally, including a lack of infrastructure, such as fencing to segregate bulls and cows, scrub bulls mating with cows year-round, and logistics, with limited station access throughout the wet season preventing regular supplementation of phosphorus. To overcome the challenges outlined above, the extent of the potential problem must first be calculated. From here, a cost benefit analysis can be conducted to determine which strategic change to your management system, or infrastructure, will be the most beneficial. What is the impact of breeder mortality rates and its effect on productivity? Historically, pastoral businesses have concentrated efforts to improve herd performance through focusing on fertility and increasing reconception rates. However, as shown in Table 1 (McCosker, T, McLean, D, and Holmes, P 2010), a reduction in breeder mortality can yield a higher return than increasing reproduction rates, especially when breeder cow mortality rates are greater than seven per cent. Now that is something to talk about. Note: the data in Table 1 looks at the effect of changing three key drivers of productivity: reproductive rate; mortality rate; and turn off weight, on a modelled herd based on benchmark data. The first step of assessing whether mortality rates are impacting your business is to establish the extent of the problem. Mortality rates of all classes of cattle are a loss to your business, however focusing on those whose offspring generate income is a good place to start. With any method of calculating mortality rates, the old adage is, “rubbish in = rubbish out,” therefore having correct and reliable data is important. Five years of cattle data is ideal when calculating mortality rates, as this allows for variation in seasons and minimises the fluctuations in the total herd size. This may not be attainable for all pastoral owners or managers, depending on circumstances, but the aim is to work with a minimum of at least three years of data. Three methods of calculating mortality rates are outlined below. In the study commissioned by MLA in 2013 (Henderson, Perkins & Banney) an excel based breeder mortality rate calculator was created and is available on the MLA website. *The accuracy of the final output is dependent on the starting number at year one and the closing number at the end. The same information can be entered from the male data to give you an indication of steer losses. The breeder mortality rate calculator will give you a total mortality rate for your all females, as well as a mortality rate for non-breeding females and steers, but accurate data is essential. If there are concerns about the accuracy of the data, there are alternative ways to determine your female mortality rate. By assuming 50 per cent of calves born each year are females, it can be expected that 50 per cent of cattle sold (varying in age) should be female. By using the equation below, a percentage of females sold can be calculated. If the result is less than 50 per cent, it gives an indication of what the female mortality rate may be, provided the size of the breeder herd has remained constant. For example, if you reach a result of 46 per cent female sales, you can assume approximately four per cent of your females are unaccounted for/dead. Compare the branding/weaning numbers with the turn-off numbers. If the size of the herd has remained fairly constant, a station should sell almost all of the cattle that are branded. Ideally, all three methods should be undertaken in order to provide insight into the on-property breeder mortality rate and to identify key records that need to be kept to monitor annual mortality. 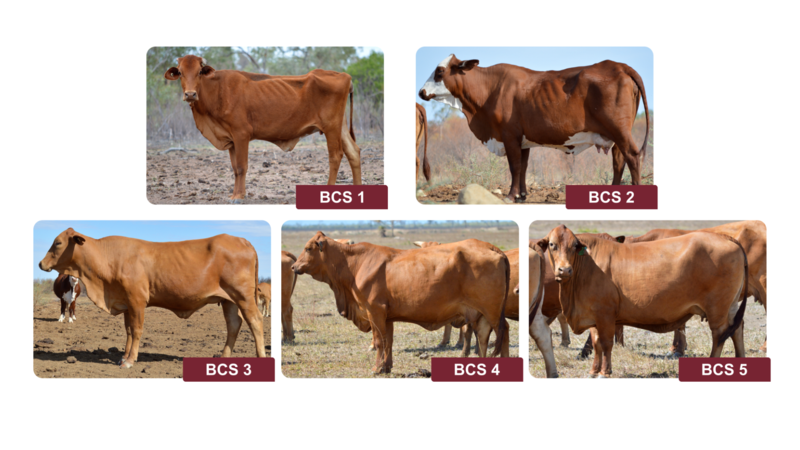 There are a number of factors that can impact breeder mortality rates, as highlighted in the MLA report, Determining property-level rates of breeder cow mortality in northern Australia (Henderson, Perkins & Banney 2013). The primary factors positively influencing breeder mortality rates are age at culling, maintaining body condition, provision of phosphorus supplementation during the wet season, vaccinating against botulism and segregation to reduce/eliminate out of season calves and target ‘at risk’ breeders. Keeping aged breeders (>11 years) is a management strategy commonly used to increase herd size in the hope that the retained old cows will produce one more weaner, however it is important to consider the impact on mortality rates. The report by Henderson et al (2013) showed cows 11 years or older at last weaning had a 43 per cent increase in mortality compared to cows 10 years and younger. During this time they are consuming resources that a more reliable cow could be accessing. Additionally, the sale of cull cows provides substantial cash flow for many north Australian pastoral businesses and improves the welfare of their herd. The body condition score (BCS) of individual animals provides an indication of how an animal is coping with its physiological demands (growth, pregnancy, lactation). By identifying the body condition score of breeder cows, you can make appropriate management decisions such as time of weaning, nutritional requirements, and need for supplementary feeding, which will reduce breeder mortality. To be able to reconceive, a cow needs to be in a BCS of 3 or more. A cow will need to gain 60kg to move from a BCS of 2 to 3. Insufficient levels of available phosphorus results in feed intake being restricted when dietary protein and energy levels are adequate over the wet season. 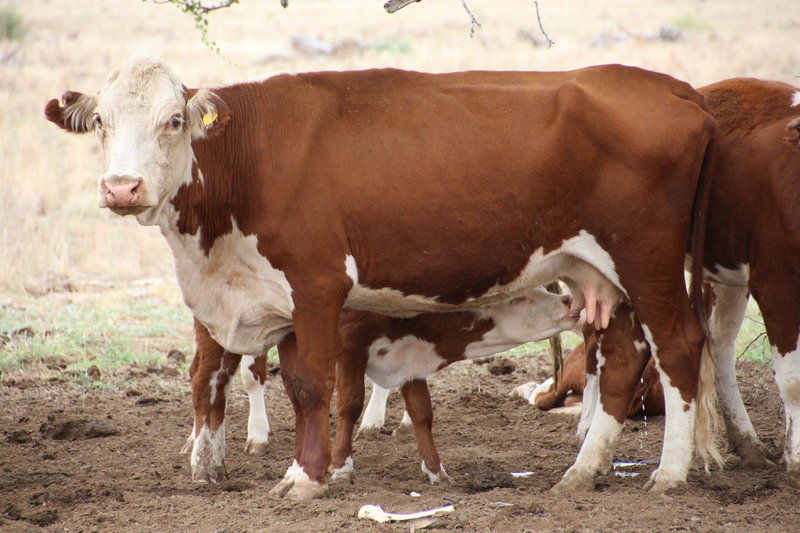 Phosphorus supplementation in the wet season can greatly assist cows to utilise the available nutrition, leading to improved weight gain, conception and lactation. Phosphorus supplementation in the wet has the ability to reduce female mortality by up to 63 per cent, particularly in aged cows (Henderson et al. 2013). However, the benefit of phosphorus supplementation is greatest in acutely deficient soils and producers should identify the level of available phosphorus in their country through blood and soil testing, when considering this management strategy. Phosphorus deficient cattle can develop a depraved appetite. Chewing and consumption of irregular foodstuffs, such as bones, sticks and partially decayed carcasses leads to the ingestion of the botulism toxin. Before the widespread use of vaccination, botulism caused a significant number of stock losses in the northern beef industry and remains a threat to unvaccinated cattle in the rangelands. A research project conducted in the Pilbara with young breeders (Smith 2010) demonstrated that botulism vaccination can reduce mortality rates from fourteen per cent down to seven per cent. Henderson et al (2013) found properties that practised segregation of breeders during the dry season had a 67 per cent reduction in female mortality compared to properties that did not segregate. The decreased mortality rate was attributed to the additional management strategies used by properties that segregate. Such practices include targeted supplementation, weaning to preserve breeder body condition, and management of pastures to ensure optimal nutrition is provided to classes of livestock with higher needs. Additionally, the segregation of aged cows from the breeder herd, including bulls, reduces the chance of a cow reconceiving and being required to raise another calf through to weaning. After calculating your breeder mortality, the next step is to consider which strategic intervention will be the most beneficial and cost effective to your business. Online programs that are designed to assist in this type of decision making include BRICK and Breedcow, which are available for free on the FutureBeef website. 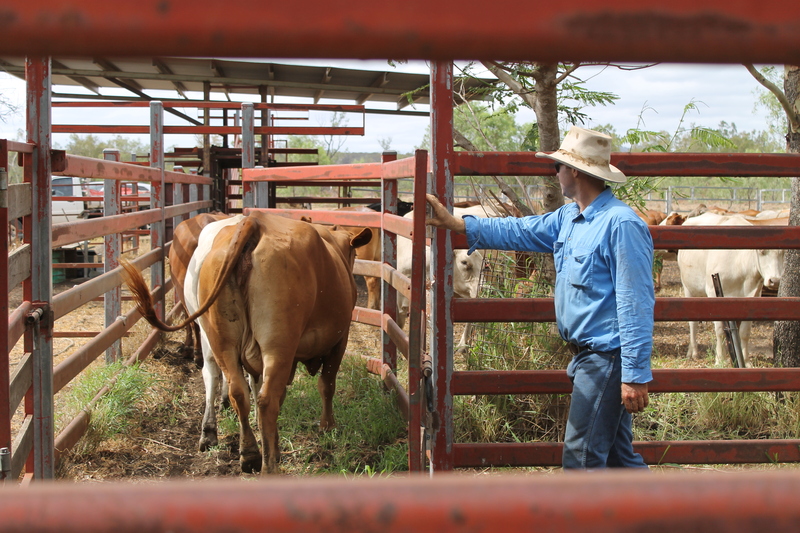 These programs can be tricky to use, however the FutureBeef extension officers, in conjunction with Department agricultural economists, are here to help. If you would like assistance using these programs, head on over to the FutureBeef contact page or contact your trusted agricultural economist.